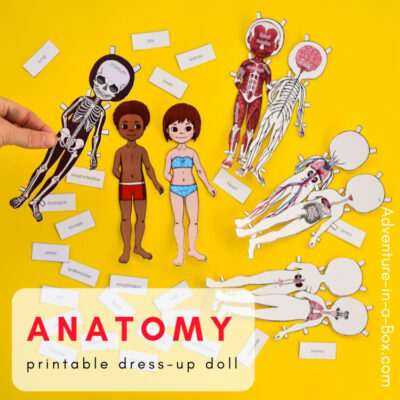 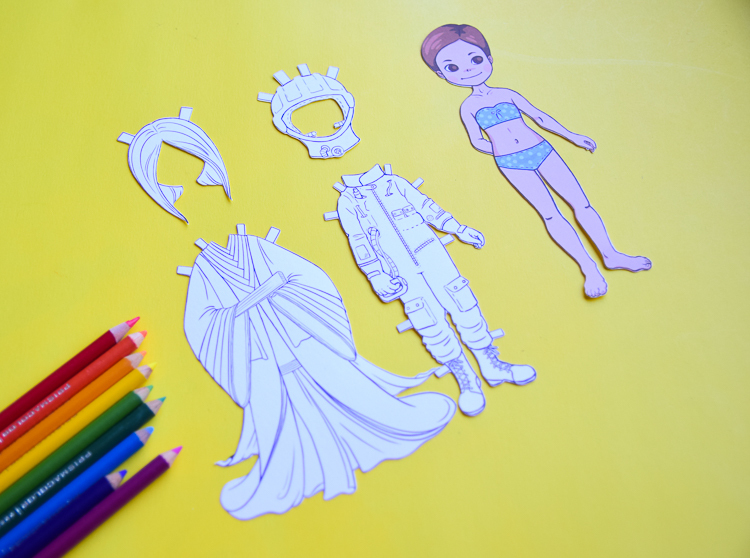 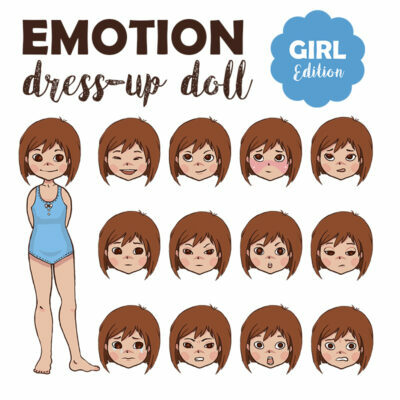 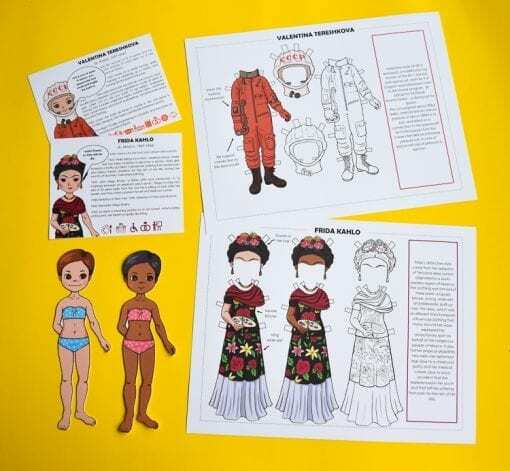 Study twenty women who changed the world with kids by making a set of printable dress-up and magnetic paper dolls of amazing women from history! 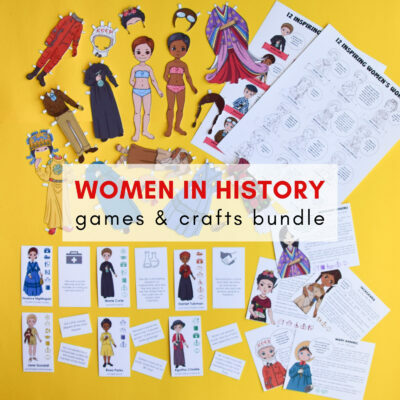 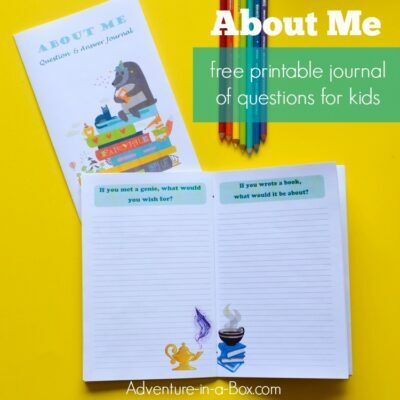 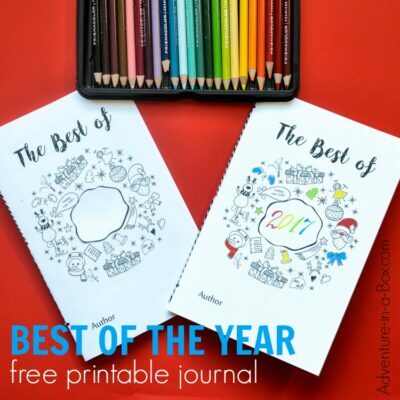 You can also buy this product as a part of Amazing Women in History Bundle. Amazing Women Paper Doll Set features costumes of twenty inspiring women who have changed the world. 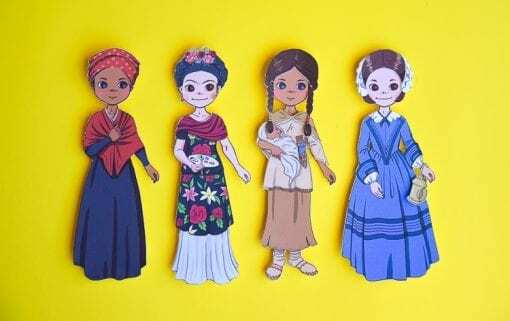 They are scientists, explorers, artists, activists, and more. 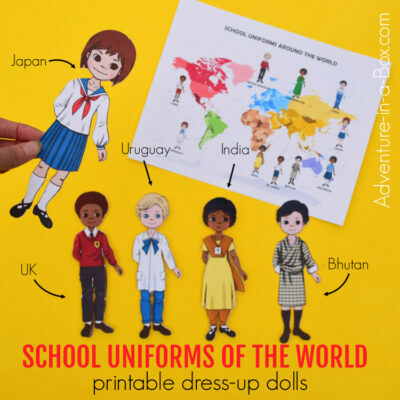 They come from different social classes and from different parts of the world. What unites them here is that each of them did something way extraordinary—and they worked hard to get there. 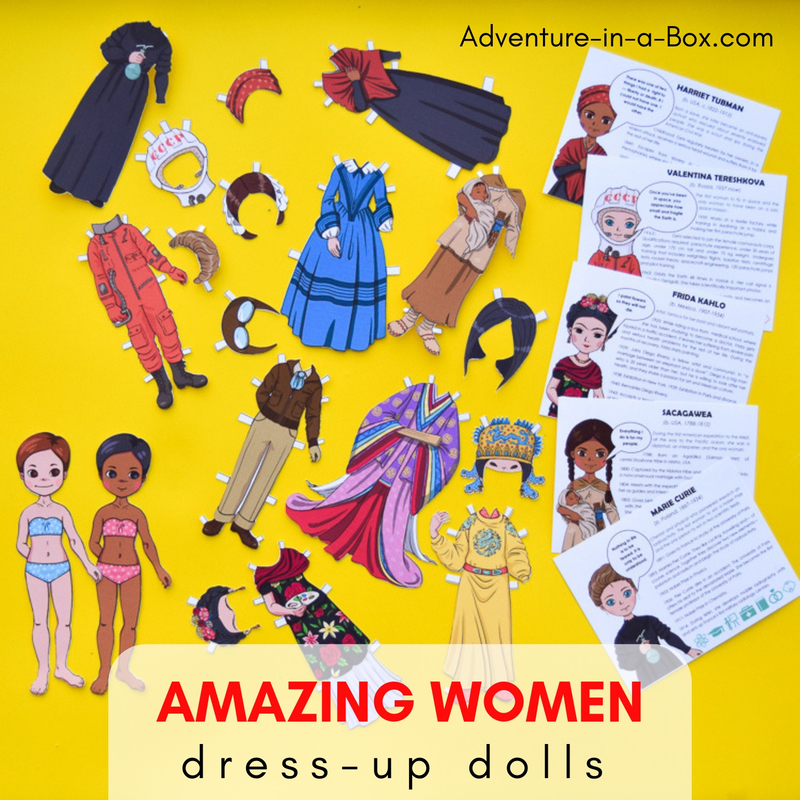 The set features Marie Curie, Frida Kahlo, Florence Nightingale, Rosa Parks, Amelia Earhart, Nancy Wake, Harriet Tubman, and many more! 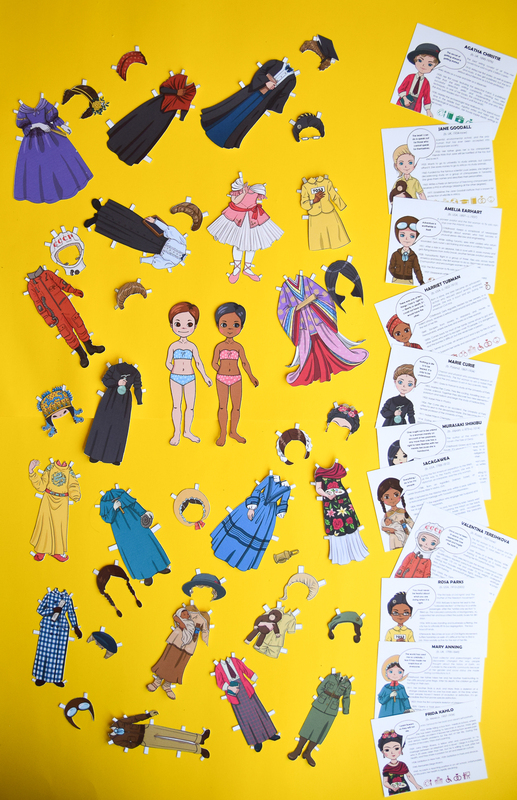 a biography cards for each of the women featured in the set.